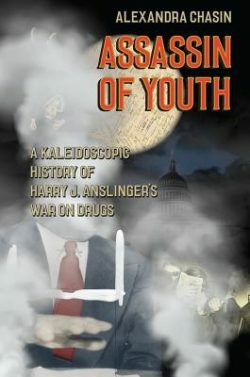 We speak with Alexandra Chasin about her biography/cultural-political critique of America’s first drug czar, Harry J. Anslinger, Assassin of Youth: A Kaleidoscopic History of Harry J. Anslinger’s War On Drugs. 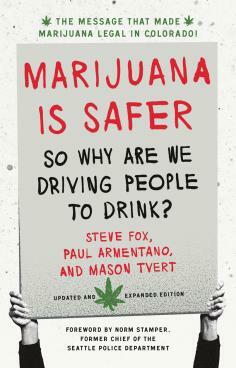 Then we re-air our 2010 interview with cannabis legalization advocate Mason Tvert about his book, Marijuana Is Safer. The War on Drugs is America’s longest — and it’s losing. Moreover, America is losing right along with it. The War has devastated communities of color, wasted billions of taxpayers’ dollars, made neighborhoods more dangerous, shredded constitutional rights and promoted mass incarceration over treatment. Many have argued that the purpose of the War of Drugs has less to do with public health than social control of minorities, immigrants and poor people. It’s a stance Alexandra Chasin takes in her fascinating look at the man who lay the foundations of the War on Drugs, Harry J. Anslinger, America’s first drug czar. Anslinger linked drug use to immigrants and people of color, demonizing them as dangerous criminals, and promoted harsh drug penalties with a lock ‘em up mentality. He had a particular hatred for marijuana users. In Assassin of Youth, Chasin examines what made Anslinger who he was and his social, cultural, and political legacy. Chasin is professor of literary studies at the The New School in NY and Artistic Director of Writing On It All, a public/participatory writing project. She’s authored several previous books, including Selling Out: The Gay and Lesbian Movement Goes to Market and two works of fiction. Assassin of Youth is out from the University of Chicago Press. Twenty-six states and the District of Columbia currently have laws broadly legalizing marijuana in some form. Three other states will soon join them after recently passing measures permitting use of medical marijuana. A number of states have also decriminalized the possession of small amounts of marijuana. But Attorney General Jeff Sessions seems poised to reverse that trend. Back in 2010, WV spoke with Mason Tvert, a long time warrior in the trenches of the marijuana legalization movement. At that time, you could count the states that had decriminalized both medical and recreational marijuana on the fingers of one hand. Now, as the Trump regime threatens to send us back to prohibition, we decided to air that interview with Tvert once again.